Mayor Bloomberg's & Chancellor Klein's "Big Lie" Of Academic Progress Is Exposed By The New York State Test Results. The results of the 2010 New York State reading and math tests are in and the numbers are bad, really bad. The composite math passing rate declined to 54% passing from a 2009 figure of 82%. That is a whopping decline of 34%! Worse, was the composite reading passing grade declined to 42% from a 2009 rate of 69%, an unbelievable decline of 39%! Moreover, the Mayor and Chancellor's pride and joy, the Charter schools, had even worse results, with corresponding declines of 39% and 42% in math and reading respectively. These dismal academic numbers are a result of a more comprehensive testing protocol by the State and is in line with core academic skills recommended by Harvard Professor Daniel Koretz whose team found that the New York State tests were too easy and not comprehensive enough as a reliable indicator for academic proficiency. Even the usually reliable Bloomberg & Klein media mouthpieces couldn't sugarcoat the terrible results. Here, Here, Here, and Here. However, the New York Post editorial did try to blame the State for the dismal test scores but also rightly questioned the academic gains the City claimed for the past four years. While the New York Daily News editorial gave the Administration a pass by falsely claiming that there was academic advancement. Where did they get that from? The NAEP which they have ignored for years and then cherry-picked the reading statistics. As well as the Math statistics. The question I have is now that the New York State test results show that the academic gains were an illusion, do all those "Leadership Academy Principals" get the real school grade they richly deserve? the answer is of course not. Already the DOE has said that the school grades will be marked on a curve. However, what is exposed is the Mayor's and Chancellor's "children last" policy which includes starving the schools of funds, increased class sizes, "education on the cheap" programs, an unfair strident funding formula, and misspent funds on non-classroom items. 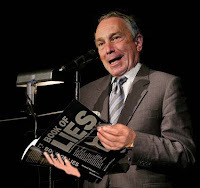 A must read is the article by Leonie Harrison "A Teachable Moment" that exposes Bloomberg and Klein for what they really are. Liars, and cheats when it comes to manipulating data to suit their propaganda. How about the City's claim of narrowing the achievement gap between white and black students? You guessed it. It is an illusion. The achievement gap actually widened from 17% last year to 34% this year, (41.3% between Asian and black students this year compared to 20% in 2009) which is the same as 2005. In fact, according to NY1, the racial academic achievement gap is as wide as it was before Mayor Bloomberg took over in 2002. More phony gains exposed as being an illusion. However, in a press conference with Chancellor Joel Klein, Mayor Bloomberg still claimed academic progress despite the numbers. Incredible, I guess Joseph Goebbels would be proud of how the Mayor and Chancellor continues to sell the "big lie" of academic progress hoping the public actually believes it. Now that the "big lie" of academic progress is now exposed, just ignore the data and continue claiming academic progress. Or maybe the Mayor and Chancellor were simply being Abbott and Costello when it comes to Math, considering how they manipulate statistics. To say the least, both the Mayor and Chancellor has a credibility problem and should be held accountable for their lies. It is about time that the Administration's "children last" policy is exposed and shows that there has been no real academic improvement in the New York City Schools. It is time that educators regain control of the New York City schools if there are to be real academic progress for our children. Update: Please read Juan Gonzalez's article about how the "kids are the big losers in the Mayor Bloomberg, Joel Klein School Test Scores Game". A must read. 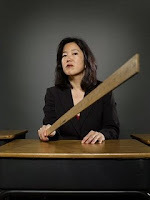 Michelle Rhee Fires 241 Teachers Under The Randi Weingarten Negotiated Contract For The Washington D.C. Teachers. 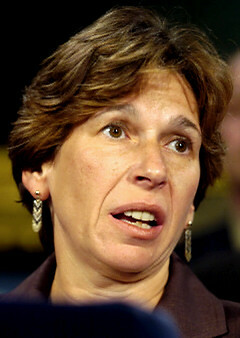 Randi Weingarten has done it again. Another case of Randi Weingarten negotiating teacher tenure and due process out of the Washington D.C. teachers contract. 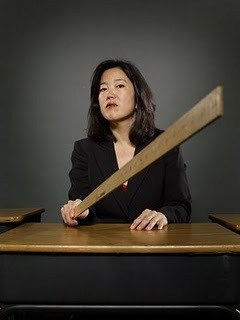 The Washington Post reported that Chancellor Michelle Rhee has used the newly implemented contract negotiated by Randi Weingarten to fire 241 teachers or approximately 6% of the entire teaching force. In addition another 737 teachers were told they were "minimally effective" (sound familiar? Look here) and could be fired next year. That means an additional 15% of the teaching staff are in danger of being terminated. In the New York Times, their article further reported that Randi Weingarten was quoted as saying the following. 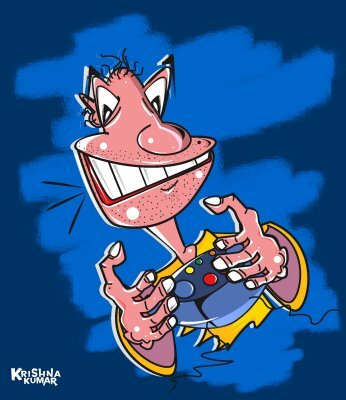 I admit Randi talks a good game but it is the results that count. Just remember what Randi Weingarten did to us in the infamous 2005 contract and every time she negotiated with Joel Klein, the teachers suffered. How about the following? The "fair student funding" fiasco, recruitment over retention, the ATR and "rubber room" agreements, PIP+? Do I need to say more? Randi is gone but not forgotten as her legacy that makes the NYC classroom an increasingly hostile environment and the teaching profession under continuous attack as creativity is no longer encouraged and a "one program fits all" is followed at the expense of the students. In The New York City 3020-a Process The DOE Has The Home Field Advantage. I have always maintained that the only time the teacher's side of a story in a disciplinary hearing will be heard in front of an independent hearing officer is at his or her 30o20-a hearing. The Arbitrator, paid by New York State, is appointed by both the DOE and the UFT for a one year period. Therefore, the Arbitrator is mindful that either side can remove the Arbitrator at the end of the one year contract. While the Arbitrator is usually well qualified and independent there is pressure for the Arbitrator to satisfy the two sides and "split the baby" when determining the "award" against the teacher. I have previously written about the 3020-a procedure Here, Here, Here, and Here. However, one item I or others have never brought out is unlike the New York State 3020-a process, the DOE enjoys a "home field advantage' since the New York City 3020-a hearings are held at the DOE's Office Of Legal Services building. This means that the DOE lawyers can call for a recess and make quick calls or get papers from their office while the teacher's attorney cannot do that. Furthermore, the Arbitrators are at the mercy of the DOE lawyers when it comes to access of materials that are only readily available to the DOE lawyers. Yes, the Arbitrators will try to come up with a "fair" decision but it is like the Kansas City Royals playing all their games against the New York Yankees at "Yankee Stadium". 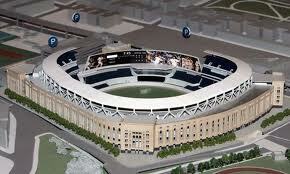 How many of those games do you think Kansas City will win at Yankee Stadium? Not too many. Consequently, the DOE has a "home field advantage" against the teacher since the 3020-a hearings are being held at their own building. A Child Drowns, A Teacher Is Fired, An Assistant Principal Is Demoted While The Principal Remains In Charge. Something Smells Here. One of the most interesting stories going around in the media is the less than a slap on the wrist that Principal, Jose Madonado-Rivera received from the DOE after he was found to be at fault for the death of 12 year old Nicole Suriel. Despite a Special Commissioner Investigation report that lays the blame on the Principal, as well as the Assistant Principal and the teacher. The Principal was given a free pass. By contrast the Assistant Principal was demoted to teacher and had his salary reduced by $35,000, and the first year teacher was fired. In fact, the DOE press department said that Tweed awarded tenure to Madonado-Rivera nine days after Nicole's death. The problem here is that principals do not get tenure! They previously gave it up for a significant pay raise back in 1999. The question is then how did the DOE award the Principal tenure? Let's see did Principal Madonado-Rivera work for the DOE before coming out of the infamous "Leadership Academy" and become Principal at Columbia Secondary School? It appears not. How about as a classroom teacher?He certainly did not for the New York City Public School System. Therefore, how could he have obtained tenure? That question remains to be answered by the DOE. I will be very interested to see how Tweed tries to wiggle out of this problem. Furthermore, the Principal has been accused of various infractions and abuses by teachers at the school and some teachers have left the school because of his abusive administrative style. Finally there is some question about the Principal-directed fundraising practices that may have violated the Chancellor's Regulations and pressured both parents and teachers to do their part in raising money for the school. The New York Times article has only skirted this issue. So it is not that this Principal had a good reputation with his staff for the DOE to take into account his lack of punishment. Articles about the situation has been written about by many information services. The New York Daily News, The New York Post, The New York Times, as well as Gotham News and ednotes online. I suspect that more articles will appear about the Principal and how he runs the school before it disappears from the media. While it does not surprise me that Tweed did not punish the Principal as I have written about the double standard previously, what does shock me is our union's apparent inaction in taking past teacher complaints to the Office Of Special Investigations (OSI). What were they waiting for? What union leader told the teachers at Columbia Secondary School to take their complaints to him or her? How would the union protect these teachers from retaliation since they are not one of the agencies that is protected under the whistileblower law while OSI is. Michael Mulgrew and company have a lot of explaining to do. To say I am increasingly disappointed with the Mulgrew Administration is putting it mildly. Here seems to be just another case on the union's failure to protect the teachers they represent. "What Goes Around, Comes Around" As The Ex-Principal Of IS 141 Claims He Was Setup By Staff, Students, & Parents. In an admittedly rare action. Parents, students, and teachers had forced the DOE to remove the Principal of IS 141 and to be subject to two separate 3020-a charges. The Principal, Anthony Aldorasi, was removed in February of 2007 on charges of harassing a male teacher, missing audiovisual equipment, and corporal punishment charges against three students. Interestingly, the article in the Queens Gazette claims he was cleared. However, the truth was he received a $6,000 fine, along with a ten day suspension. Cleared? I don't think so. Interestingly, and incredibly the DOE apparently offered him his job back as principal of IS 141 but when he showed up at the school in March of 2008, he was met by a crush of media and very upset parents that he was coming back. He was eventually placed in Administrative positions and has now retired. When a teacher is found guilty, the DOE almost never puts that teacher back into the school. Another example of a double standard. 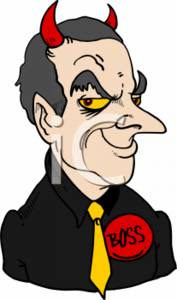 What's really ironic is in the past that principals are primarily responsible for pushing and removing teachers from their schools on various frivolous, embellished, twisted, or bogus charges and saw nothing wrong with the process. Now one Principal claims that he should not be subject to the same process that he previously had no problem with. Furthermore, he claimed he should have never been removed unless there was criminality involved. I guess he thinks the rules are different for him. 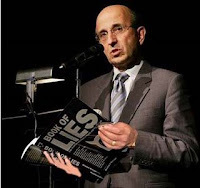 All I can say to Mr. Aldorasi is "what goes around, comes around". Links to this story can be found Here, Here, Here, Here and Here. Note: I do agree that no educator should be removed from their position unless criminality is involved but it must apply to all educators not just for Mr. Aldorasi. The DOE never stops in finding different and innovative ways to get around tenure and seniority rules to terminate senior teachers. One of their more successful attempts is the PIP+ program. This program is a voluntary program, approved by the union, to give a teachers who are being accused of incompetence by the administration a chance to show that he or she is not incompetent. I previously wrote about why no teacher should ever take PIP+ and one year later I am more convinced then ever that no teacher should ever take PIP+. 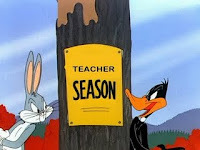 It is simply a termination program for most teachers. While the idea of PIP+ seems good, the problem is the vendor who supplies the PIP+ educator (in many cases these are retired administrators with no experience in the NYC classroom) are paid by the DOE which brings into question how impartial is the PIP+ educator? The result after two years of data was that over 90% of the teachers who took the PIP+ program failed and 3020-a charges were filed for incompetence. Alternatively, the DOE has informed administrators to try to scare the teacher in resigning so they do not have to go through a costly ($250,000 or more) 3020-a hearing by offering them a deal that results in the teacher's removal from the DOE payroll forever. Your District & Special Reps may tell you that all teachers offered PIP+ must take it, that is a lie! The PIP+ program is voluntary as stated in the latest contract (Article 21J-3 pg 123) and refusal to take it is not a chargeable offense (Article 21J -5 pg 123) as an Arbitrator has already ruled on that Here. You might ask why would the union recommend a program that has a 90% failure rate? Easy the union leadership, who have not been in the classroom for a decade or more, really believe that these teachers are incompetent! Shocking but true, I heard it myself from a union official high up in the UFT leadership. To ensure that teachers who failed PIP+ were terminated, Tweed set up a unit of lawyers and retired principals whose only job is to file 3020-a charges against the teacher. This group is known as the "Teacher Performance Unit" or TPU for short. It is commonly known as the "Gotcha Squad" and with the new teacher evaluation program accepted by our union, look for the TPU to expand even more as additional senior teachers will be targeted by vindictive and biased administrators for incompetence. By the way, the union sponsored PIP program is not the same and all teachers offered it should consider taking it but not the DOE sponsored PIP+. To all Chapter Leaders: Do not let the teachers take PIP+, unless you want to see them terminated. I am never surprised how Tweed pleads for more money to fund education only to have them use the funds to pay for highly-priced consultants and their useless programs through the no bid process, give raises and bonuses to managers while freezing school staff salary increases, and dramatically increase their Central Bureaucracy headcount from 1,322 in 2003 to 2,286 in 2010, a 70% increase, while demanding 4% cuts in the school budget (12% in the last two years) and not hiring 2,000 teachers who were to replace those teachers that are leaving the system. The NYC Public School Parents Blog has previously questioned the DOE's priorities in allocating funds and in increasing the headcount at Tweed as well as Gotham Schools. However, the news media seemed to ignore how the money was used by the DOE. Finally, the New York Daily News published an article that questioned the tremendous jump in headcount at the Central Bureaucracy at Tweed at the expense of the schools and field offices Here. 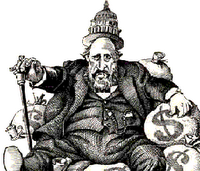 Tweed's pathetic defense of their spending priorities was laughable. Despite the DOE's increase in the Office of Accountability (from 8 in 2003 to 79 in 2010) and Office of Legal Services ( 48 in 2003 to 110 in 2010, an astounding 129% increase!} they still lack the accountability or legal ability to properly oversee the Financial Management of the Agency as Juan Gonzales's article shows. What are these Offices supposed to do? The way Tweed allocates money to the school is best found in Abbott & Costello's "It's Payday" with the schools being Costello and Tweed being Abbott. Is it any wonder that the DOE's policy of "children last" continues. 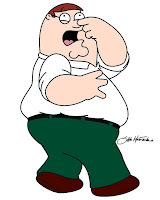 The education deformers always point to "bad teachers" as the reason to eliminate tenure, seniority, and layoffs. Of course most educators realize that the education deformers (Mayor Bloomberg, Chancellor, Klein, Secretary of Education Duncan, and President Obama) idea of a "bad teacher" usually has nothing to do with their teaching skills but age, salary, and Principal dislike are the main reasons why teachers are labeled "bad". Yes, I am sure some "bad teachers" are reassigned for cause, maybe 10%? However, the really "bad teachers" that fall under the radar inhabit the New York City schools but because the administrators fail or refuse to target these teachers for one reason or another. Everybody who has been in their school for at least five years know who these "bad teachers" are. Parents, students, and staff talk about them all the time. This post is about one such "bad teacher" that has caused massive student failure at his school and the Administration does nothing about it. This "bad teacher", I will call him Damion, works at a school with a troubled history and with very needy students who look for support from the school's staff for their academic, and social problems. The staff, for the most part, help the students when they can. However, Damion is not one of those caring or nurturing teachers who will reach out to help students in trouble. 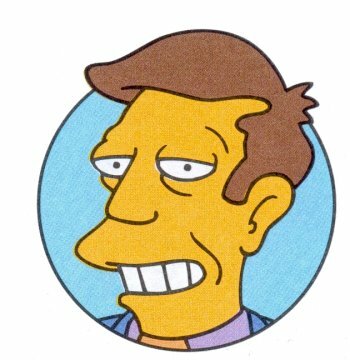 In fact, his attitude is just the opposite, he gets paid to teach and nothing else. He shows up barely on time (in some cases he misses his first period class) and is out the door as soon as he can. His teaching style makes it difficult for students to understand the subject and he does not care how many of his students struggle. Therefore, many of his students are lost and try to leave his class before it is too late but can't due to the ban on "teacher shopping" at the school, This ban was put into effect primarily due to the many students who wanted out of his class. Damion was known to have failed so many students that the school had, at the last minute, was forced to run a summer school program for the subject because of his many student failures. Damion does not care for the students or the school. Time and again he has tried to move to a different school with a a better student body only to have the principals of these schools realize that his bad attitude toward the students and his poor academic results is not for their schools. Damion has also been known to violate union rules and cooperate with investigative agencies against his teaching colleagues. Yes, it is called snitching. How disgusting! You might ask. "How can the school's administration allow this uncaring, and uncooperative teacher who does not work well with his colleagues to stay in his job?" 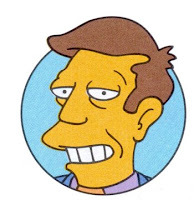 Easy, he works for a soft-hearted Assistant Principal who never has given a "U" rating. Therefore, the AP complains about Damion's teaching skills and attitude all the time but still gives him an "satisfactory rating" year after year. Damion is the first one to complain about our union but fails to vote or join with his fellow teachers in organizing action to help the school or the students. No wonder he falls below the Principal's radar. He never participates in any school activities or events. "Out of sight, out of mind". It is "bad teachers" like Damion that should be terminated but he never will be. For the students sake I hope that the AP and Principal wake up and jettison this "bad teacher" but I highly doubt it. Why The New York City High School Graduation Rates Are Phony When It Comes To A Quality Education. Every year the DOE shows that a greater percentage of students are graduating high school. Last year it rose to 59%. Sounds good, right? But there is a catch. The rising graduation rates are phony and are influenced by educationally suspect "credit recovery programs", dumbed down State tests, dropout rates, and Principal pressure to improve the school report card. What we have is really "smoke and mirrors" as many of the high school graduates cannot effectively function in the workplace and the majority must take remedial courses at local community colleges. This is known as a graduation time bomb. In a study done by the Annenberg Institute For School Reform it found that the NYC high school graduates were not prepared for college and lacked many skills for the workplace environment. In fact, CUNY found that only 7.5% of the high school students took the courses that the college recommends and that over 70% of the students needed remedial courses in junior college. Just reading the report is discouraging, to say the least. What do I think of how the DOE calculates the New York City high school graduation rate? The same about how Abbott and Costello does math: Here. DOE should concentrate on giving a student a quality education, not push them out unprepared for either the workplace or college world through these phony "credit recovery courses" as they are doing now. DOE's "children last" continues. Update: The New York Post actually wrote an article about a student at Lafayette High School who received one of these phony diplomas and is a must read for you to understand how educationally worthless the diploma really is.